Our made in Canada & USA products are handcrafted by skilled furriers using only the finest fur pelts and quality materials. We are proud to offer such a unique Canadian & USA made collection. 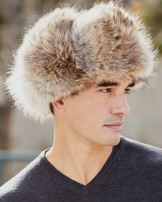 These handcrafted fur items offer superior craftsmanship and have been developed into beautiful, functional products.